This is now my 14th trip with Open Heart International 13 of these trips being to PNG. Over the past 13 years I have seen some things in PNG change remarkably and others, unfortunately, not. 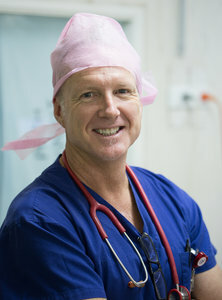 I first became involved with OHI, after working with Dr Graham Nunn at Westmead Children’s Hospital. At the time he was a cardiothoracic surgeon at Westmead and I was a Paediatric ICU trainee doctor. After a difficult beginning in our relationship, we developed a great working relationship, which continued over 12 years in PNG. We first met, when I had to call him in the middle of the night (on my first night at Westmead) and let him know that I had re-admitted one of his patients to ICU after a fairly premature discharge. It was pretty clear that he wasn’t happy. 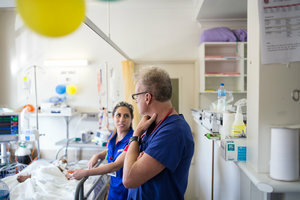 While working with him at Westmead, he encouraged me to join OHI, and he was an inspiration to me and many others, with the commitment and care that he provided in PNG for so many years. Open Heart International has been an amazing personal experience. I have met some amazing, committed people, worked with some amazing local staff and of course, seeing the children go through their surgery so well is extremely rewarding. Of course we have had problems over the years: failure of equipment, sudden cessation in oxygen supplies, and a few patients who have had complications and bad outcomes, which is very distressing for everyone, in particular the patient’s families. Overall hundreds of children and adults have had their lives immeasurably improved. I have worked with some great surgeons, anaesthetists, nurses, physios and technicians. I am always amazed at the commitment, both time wise and financially, that volunteers make to be here. Many of us have developed great friendships and look forward to our annual visit to Port Moresby. There are always differing opinions about the utility of performing heart surgery in resource-poor countries, where there are many health priorities. And while from a monetary value point-of-view, investing in primary health care may help more children, the fact remains that the volunteers involved in OHI have skills in particular areas and contribute their time where they can. Obviously for the children involved, the efforts of the volunteers is well worth it. 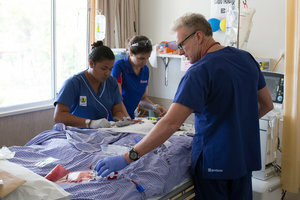 Having a visiting cardiac team also helps to improve standards of medical and nursing care in resource-poor countries. There is a large training component to OHI with an emphasis on teaching, training and self-sufficiency. Although it has to be said that the outcomes in this area have not always been as we would have dreamed. 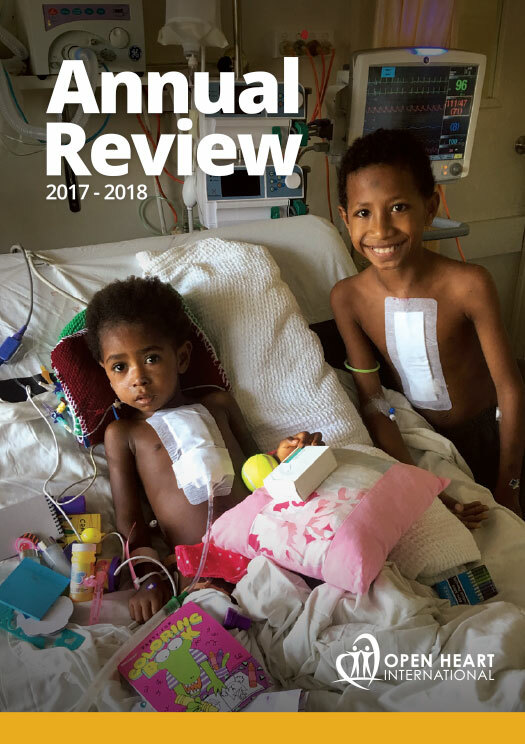 However over the 13 years now that I have personally been coming to PNG, there has been improvements in services, availability of pathology results and most importantly a greater commitment from the PNG government and hospital services. We are on the right path towards self-sufficiency. I think I have also learnt a lot from the experiences here. Having to work as an intensivist without rapid access to investigations, with some restrictions in monitoring and a reduced range of medications has improved the clinical approach to problems with an emphasis on clinical examination, observation and improvisation. I am also extremely grateful to all the amazing people I have worked with here and to my family for letting me come up to Port Moresby every year. I hope to make many more trips and would recommend it to anyone who wants to use their skills to a great cause and have a great time in the process.